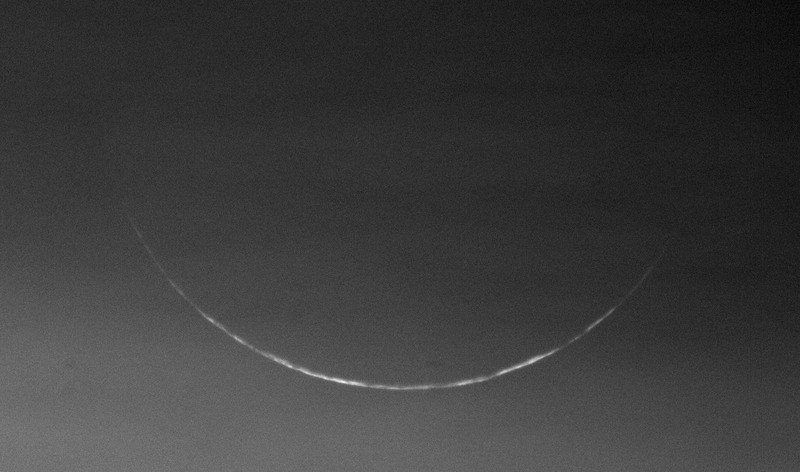 The young crescent could be observed visually, despite a lot of haze in the sky. Age was about 21h and elongation from the sun about 9.7°. The established CCD technique pinpointed the exact location and allowed to search the correct region of the sky visually, after having aligned on the sun and mercury earlier. 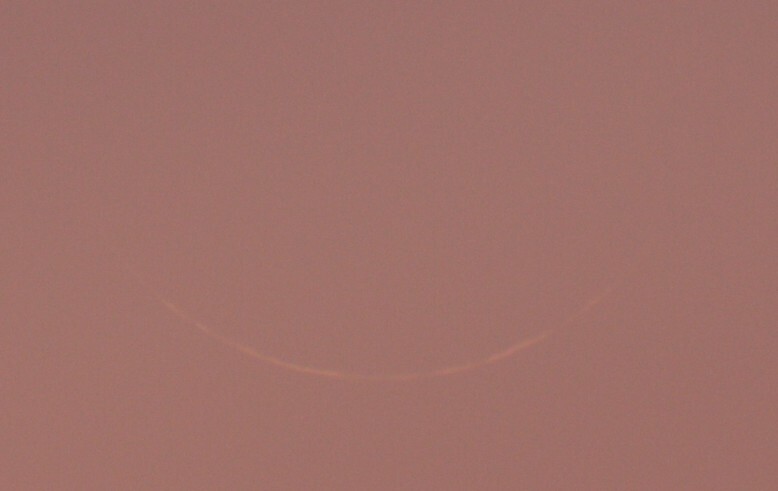 After some thicker clouds had moved, i could see the crescent visually with a pair of 20x60 binoculars. I could see the crescent visually during its descent for about 20 minutes, till it simply got to dark to see, a very thin, dark-red line. 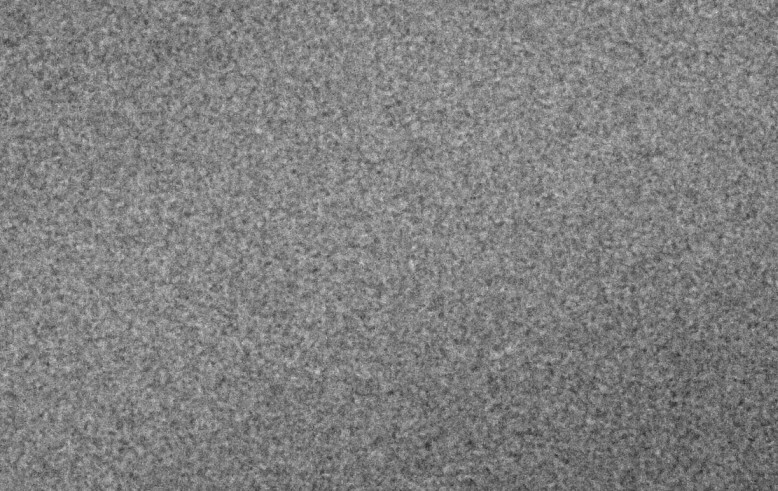 The CCD technique showed it for 10 more minutes, all the way to the local horizon, but i had to increase exposure by more than 100x compared to the earlier brightness levels. The haze sure caused a lot of absorption. 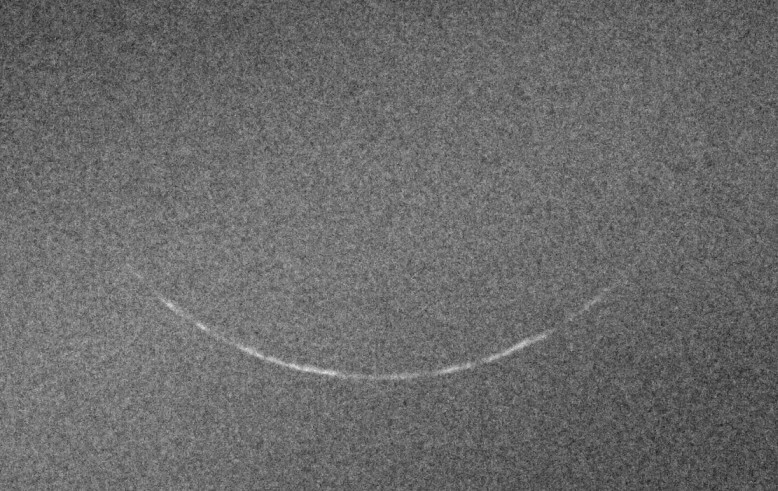 Image of the crescent from the CCD camera stream, showing fine detail on the crescent. 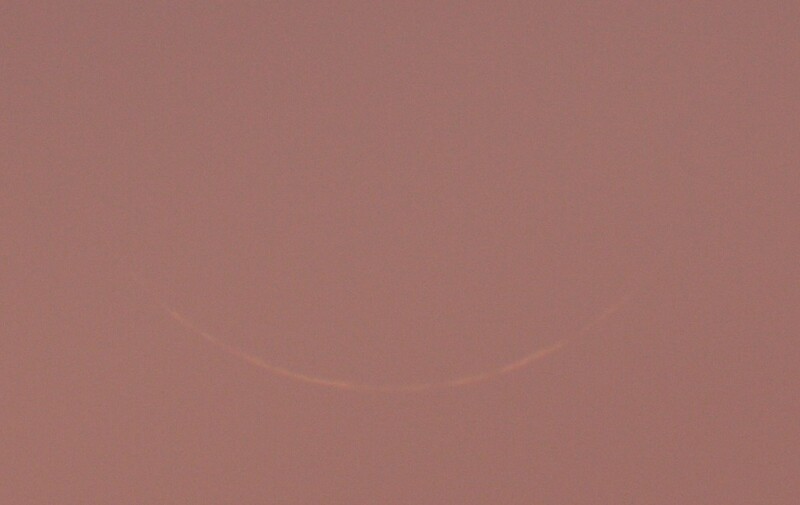 Image of the crescent from a normal DSLR camera and a 500mm lens. No enhancement was done. See below for enhanced views. 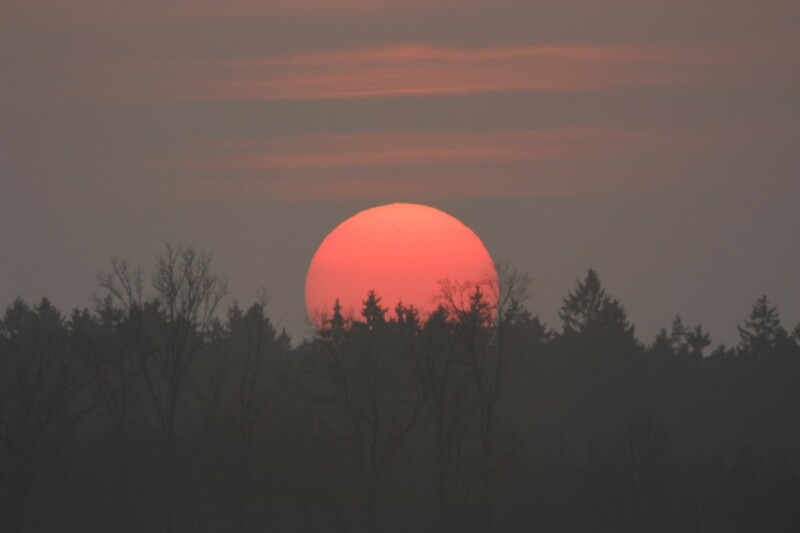 The sun setting behind the local trees. The haze allowed to see the sunspots visually. Sky conditions after the sun had vanished. 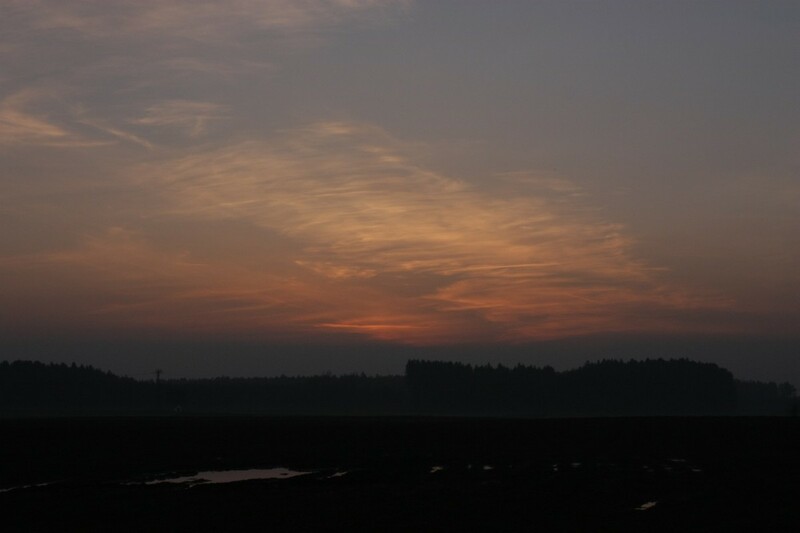 Some cirrus, general haze and massive haze lower down. Raw DSLR image with 500mm lens. 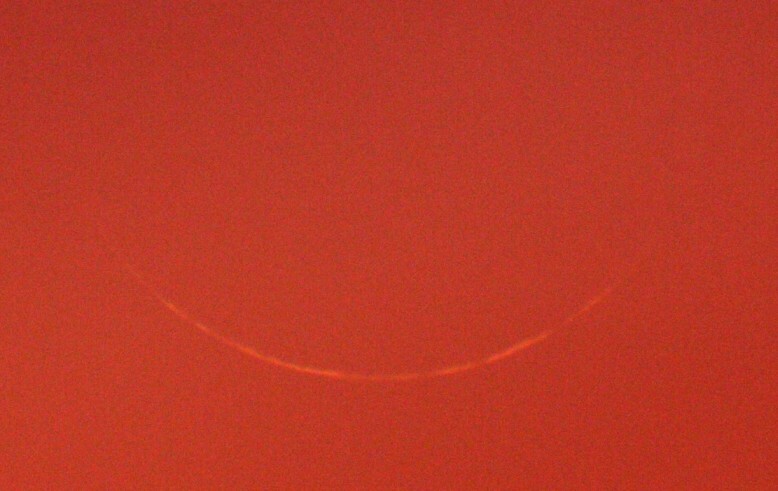 The red channel of the DSLR image shows the crescent well. The green channel of the DSLR image shows the crescent well and has the highest resolution, though this hardly matters here. 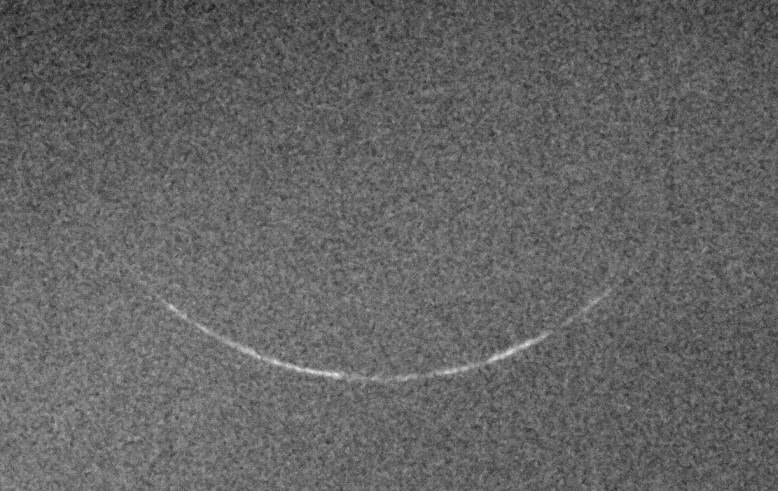 The blue channel of the DSLR image hardly shows anything, as the haze absorbed and scattered all light from the crescent.